You will enjoy Starzology if you want to use astrology to improve your life. This site will appeal to a select segment of readers in the astrological community and those people who strive for creative astrological knowledge. Starzology is different in that we are not simply a horoscope site but we explore astrology in a unique way. We bring astrology to you from different angles to stimulate your creative juices. Only learn what you need to know in astrology. Enough articles, eBooks, and courses to get an aspiring astrologer (that’s you) up and running on the basics. Many topics are at the advanced level and suitable for technically competent astrologers. Know that your Sun sign is not enough. Want to understand some of the basics to do-it-yourself. Want to start your own astrological practice. Watch the Starzology YouTube channel for the latest information and tips and guides on chart reading, forecasting and featured charts. Watch Starzology on YouTube here. 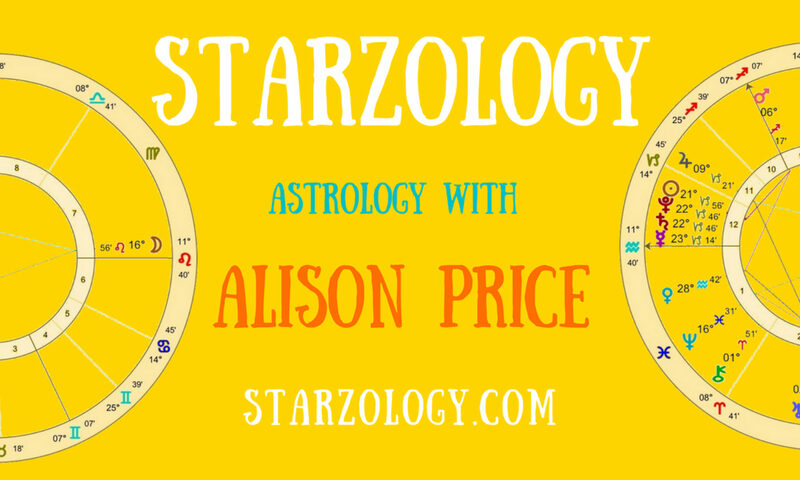 Alison Price has written several books on astrology, both to learn the basics and to understand specific topics in astrology. Find Alison’s books at Amazon here. This site showcases the specific astrological philosophies, research, and humor of Alison Price (that’s me) a consultant astrologer, writer, editor and creative based in Vancouver, BC, Canada. You don’t have to be a super astrologer to benefit from the information here, you just need an open mind. General classes – for everyone and the general public these are getting-to-know-you classes. Beginner, intermediate and advanced astrology- Learn how to read a chart and forecast for others. Business classes – How to set up and run your prosperous astrology or new age business. Gracious testimonials from people who have benefitted from the astrology we offer here. If you want to be a contributor for us the info you need is on the Guest writer’s guidelines.